It took 18 innings. It took a rain delay of an hour and 19 minutes.It took 20 hits. It took a lumpy outing by Chris Archer. 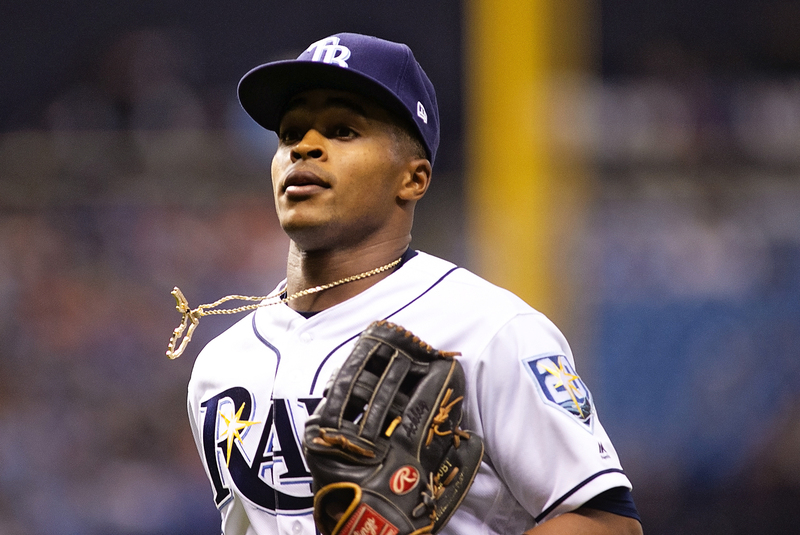 It took a great effort by Mallex Smith. It took nine pitchers. And after all of it, the Tampa Bay Raya finally broke their losing streak. The Rays split their doubleheader with AL East cellar-dwelling Baltimore, winning the nightcap 10-3 after five straight losses. The Rays lost the first game 6-3 despite jumping ahead 3-0 with a newbie pitcher on the mound. Still, the way things have gone lately, a split had to feel decent to the Rays, 16-21. Tampa Bay won the second game of the day behind seven pitchers, with Sergio Romo getting the win. You might never suspect the Rays had been in a scoring funk. They scored in seven of the nine innings in their victory. Mallex Smith had two doubles and a triple. Both C.J. Cron and Brad Miller had two hits, including home runs. "We needed to win a game, the way it’s been going," Rays manager Kevin Cash said. "It was easy to get frustrated after the first game, but credit the guys with another early lead." In the first game, Archer could not hold a 3-0 lead, even with first-timer David Hess on the mound.The Rays never scored again, while Jonathan Schoop hit two home runs for the Orioles. Archer allowed six earned runs over seven innings. “It is frustrating," Cash said . "It’s a potent lineup that coming in was hot. We’re going to count on Arch and trust Arch that he can quiet any lineup when he’s on.He just didn't today. "They've seen him a lot. He left some balls up. Machado, Jones and Schoop, for whatever reason, have a lot of comfort against him." Matt Duffy hit a three-run homer in the first, but the Rays never scored again. Romo got the win by recording four outs. The Rays wrap up their series with Baltimore today when Blake Snell pitches against Dylan Bundy at 1:10 p.m. at Camden Yards.